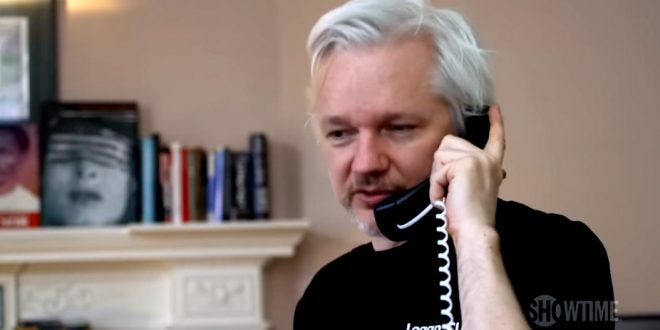 Showtime Debuts Trailer For Assange Doc [VIDEO] - Joe.My.God. Showtime Documentary Films will release RISK, the latest documentary from Academy Award winner Laura Poitras (CITIZENFOUR). Filmed over six years including through the 2016 presidential election and up to the present moment, RISK takes viewers closer than they have ever been before to Julian Assange and those who surround him. With unprecedented access, Poitras give us the WikiLeaks story from the inside, allowing viewers to understand our current era of massive leaks, headline-grabbing news, and the revolutionary impact of the internet on global politics. RISK is a portrait of power, principles, betrayal, and sacrifice when the stakes could not be any higher. It is a first-person geopolitical thriller told from the perspective of a filmmaker immersed in the worlds of state surveillance and the cypherpunk movement. RISK confirms Poitras’ directorial ability to record history as it unfolds on camera, and craft narratives at the highest level. Showtime Networks has partnered with NEON to release RISK theatrically nationwide, with a television premiere on SHOWTIME this summer.